…with your splendid theological armor and your upright German figure, whould you not perhaps be almost a little ashamed as a man like Heinrich Vogel, who, wizened and worked up as he is, is just always there, waving his arms like a windmill and shouting “Confession! Confession!” in his own way–in power or in weakness, that doesn’t matter so much–actually giving his testimony?…Be glad that I do have you here in person, for I would let go at you urgently in a quite a different way, with the demand that you must now let go of all these intellectual flourishes and special considerations, however interesting they may be, and think of only one thing–that you are a German, that the house of your church is on fire, that you know enough and can say what you know well enough to help, and that you must return to your post by the next ship. Given the situation, shall we shall the ship next after? Please take it (this letter) in the friendly spirit in which it is intended. If I were not so attached to you, I would not let you fly at you in this way. Already the thought of political resistance rings out here, even if Bonhoeffer was still trying to act solely through his actions within the church. At the same time, he attempted to obtain support from foreign countries through his ecumenical work. (Renate Bethge, Dietrich Bonhoeffer: A Brief Life, 24). This lecture laid the foundation for Bonhoeffer’s actions in the years that followed. In 1933, the year Adolf Hitler seized power, there were decisive changes in Bonhoeffer’s life. He firmly supported the church’s opposition to the new regime. In the period immediately following January 31, 1933, Bonhoeffer spoke on a radio broadcast that was cut off, in which he commented that a leader who would make himself the idol of his followers would be a misleader (Renate Bethge, Dietrich Bonhoeffer: A Brief Life, 24). PRAYER: O God, whose grace is free yet deeply costly, speak to us now through the reading of your word and through the life and witness of one who lived your word, even unto death–your servant/martyr Dietrich Bonhoeffer. Thus may we be encouraged by his witness and strengthened by his courage to face the cost of discipleship in our own lives; through Christ, the “Man for Others”. Amen. David Quattlebaum is currently teaching a church school course in the Fellowship Hall on Dietrich Bonhoeffer. Last week and again this week the class has been watching a powerful documentary of his life by Martin Doblmeier. The film is a remarkable testimony to a remarkable life. This morning I want to share with the whole congregation the story of the life and witness of Dietrich Bonhoeffer. Few theologians have had more influence on the church today, and few have demonstrated a greater depth of commitment to the “costly grace” at the heart of the gospel than Dietrich Bonhoeffer–martyr/witness for Jesus Christ. Dietrich Bonhoeffer was born on February 4, 1906 into a very cultured and learned home. His father, Karl, was a noted doctor who would soon become Professor of Psychiatry at the University of Berlin. Bonhoeffer grew up in a close-knit family that valued the intellect as well as the arts. Bonhoeffer played the piano well and took great delight in fine music. The center of the religious life of his family was his mother, Paula, who led family prayers and Bible reading, although the family was not very active in church. From his father, Dietrich inherited a strong realism and a hatred of “the empty phrase.” From both sides of the family he inherited a fierce independence of mind and a willingness to take risks on behalf of what he believed. Much to the surprise of his family, at 16 Bonhoeffer decided to enter the ministry. His older brothers sought to talk him out of it. They could see no future for him in something as dull and provincial as the Protestant Church in Germany. Bonhoeffer replied, with the confidence and naivete of youth, “If the church is feeble, then I shall reform it.” In time, he did. After receiving his degree, Bonhoeffer came to the U.S. for a year of graduate study at Union Seminary in New York. While at Union, Bonhoeffer became aware of the racial struggle in the U.S. and for six months attended a black Baptist Church in Harlem. There he learned to love the spirituals and later taught them to his students in Germany. 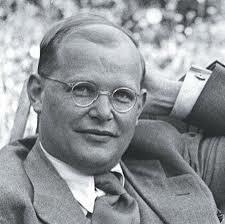 The following year, 1931, Bonhoeffer returned to Germany to take up his career as a professor of theology. But the 1930s were tumultuous times in Germany. The career of another young man was also on the rise, Adolph Hitler. Bonhoeffer recognized sooner than most the terrible treat posed by the Nazi party’s rise to power, but even he seriously underestimated it. In January of 1933, Adolph Hitler was appointed Reich Chancellor. The next month the Nazi’s burned the Reichstag, the parliament building in Berlin and blamed it on the communists. A series of “emergency laws” for homeland security were passed. Within a month all democratic rights and freedoms were destroyed with astonishing ease and virtually no resistance. Jews were no longer allowed to serve in civil government. Their businesses were boycotted. Soon even the German Church was in the hand of the Nazis. Ones like Barth and Bonhoeffer, who saw clearly the idolatry of making the church an instrument of government, voiced their opposition and in 1934 at the Synod of Barmen formed the “Confessing Church,” to stand against the German Church in the hand of the Nazis. As Hitler gained more and more power, and as the Nazi atrocities became more vicious, Bonhoeffer moved from theological resistance to a more active, political resistance. For it he was removed from his teaching position and forbidden to lecture in Berlin. In 1939 friends in the U.S. persuaded him to return to Union Seminary, where he would be safe and could develop his outstanding theological gifts. With his warm personality, his winsome charm, his brilliant mind, he soon became the center of attention at Union. 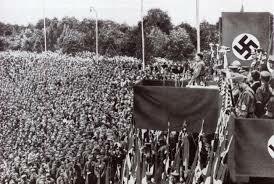 Upon his return to Berlin, he was at first denied the right to speak anywhere in the Reich and his movements were carefully restricted. But eventually, through the help of some friends in the resistance movement, he was able to secure a position with the Germany Military Intelligence service. 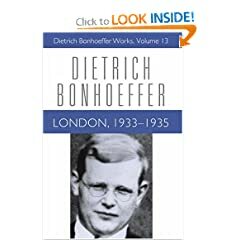 The more Bonhoeffer learned of the Nazi atrocities, the greater became his opposition, until the former pacifist became convinced that the himself must share in a plot to assassinate Hitler. 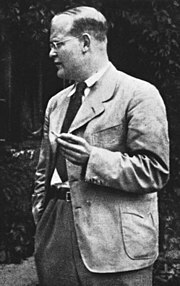 In explaining his change of position he wrote, “It is not only my task to look after the victims of madmen who drive a motor car in a crowded street, but to do all in my power to stop their diving at all.” Thus Bonhoeffer joined the plot of the German Military Intelligence to assassinate Adolph Hitler. On April 4, 1943, presumably on charges of evading the draft, Bonhoeffer was arrested at his parent’s home and take to the Tegel Prison in Berlin. There he was held for six months without a warrant for his arrest. He spent a total of 18 months in the Tegel prison. Conditions were harsh, especially at first. The prisoners were constantly harassed by the guards. The food was meager and almost inedible. The blankets smelled so bad they couldn’t be used even against the bitter cold. On April 14, 1943 Bonhoeffer wrote the first of his famous “letters and papers from prison.” It was to his parents. I do want you to be quite sure that I am all right. To my surprise, the discomforts you usually associate with prison life such as its physical hardships don’t seem to trouble me at all. I can even make a good breakfast each morning of dry bread… I can still hear the hymns we sang this morning. ‘Praise ye the Lord, the almighty, King of creation. Shelters thee under his wings, yea, so gently sustaineth.’ How true it is! And may it ever be so. On April 1, 1945, the sound of Allied artillery could be heard in the distance. The prisoners knew it would only be a matter of weeks before their camp was liberated. The end was at hand. So for the life and witness of Dietrich Bonhoeffer…and for all the saints and martyrs across the years who have paid the full “cost of discipleship”, we give thanks and praise to God. Amen. Dr. Allen C. McSween, Jr.